An information forum on Crystal Methamphetamine; local, national and international patterns of use, the context of use, and treatment and prevention responses. To find out more visit the forum page at eventbrite. Papunya Palya Lingku is a new video put together with the support of the Papunya community. This movie looks at some of the good things that have been happening in Papunya in recent years as a part of efforts to prevent youth substance misuse. 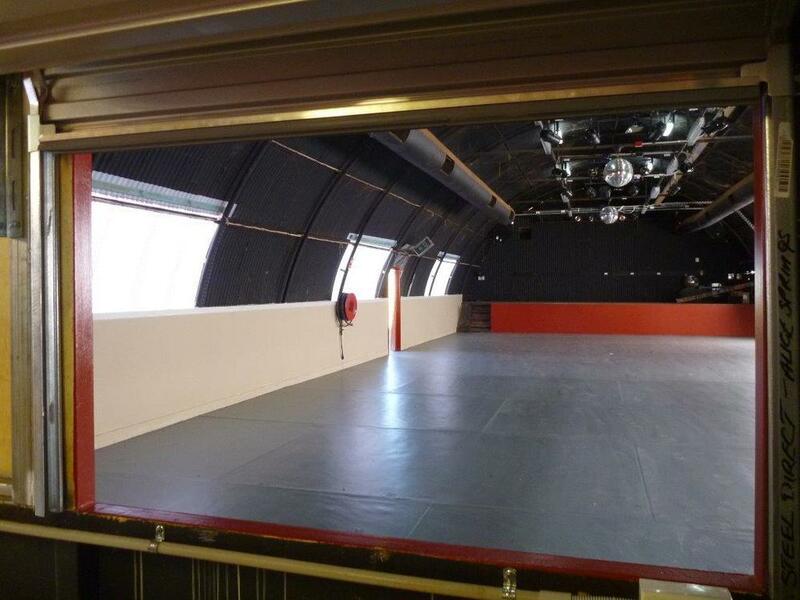 The film is produced by CAYLUS and made by Raw and Cooked Media. 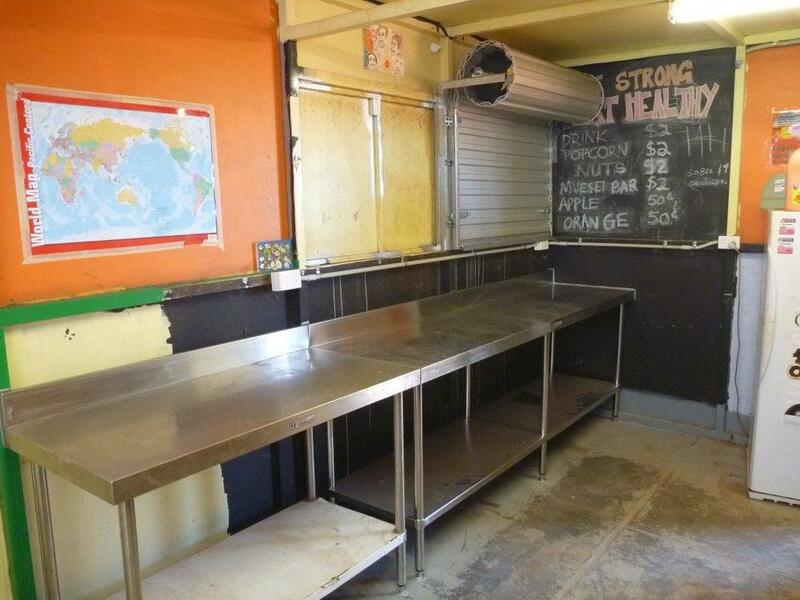 It was funded by the NT Government through the Remote Area Aboriginal Alcohol and Other Substance Strategy (RAAASS) as an example of a successful demand reduction project. Check it out by viewing below. Next time you come to visit CAYLUS you wont be able to miss the fantastic new signs that show the way to our office. 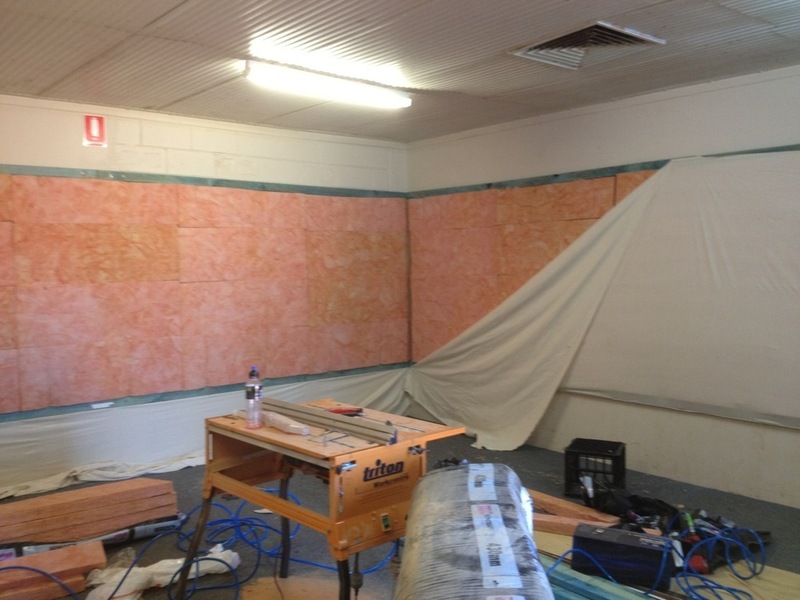 The artworks were supplied by Tangentyere Artists and painted by Margaret Boko, Louise Daniels and Betty Conway. The paintings tell stories about the work of CAYLUS and the importance of homelands and outstations, click on the thumbnails below for further detail on each painting. 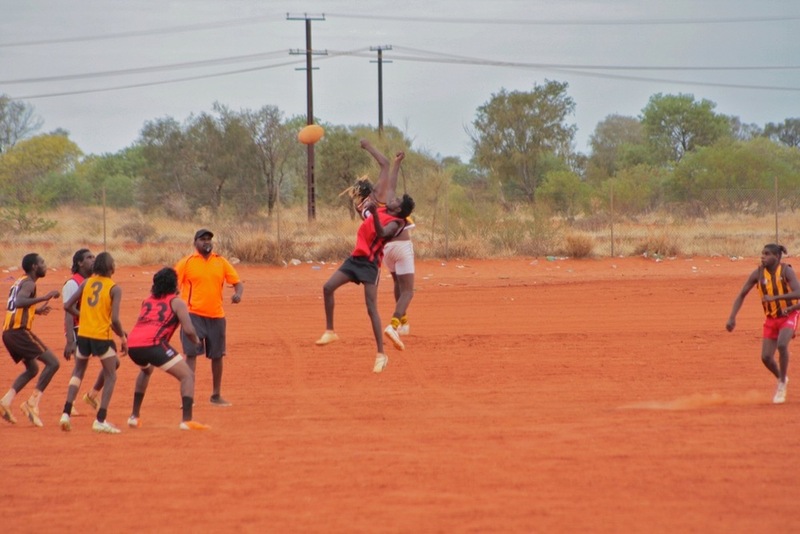 The inaugural games for the brand new Western Desert remote community AFL competition Wilurarra Tjutaku Football League kicked off on the weekend of 1-2nd of September in Papunya, 250 kms west of Alice Springs. Five teams played, all from remote communities and outstations to the west of Alice Springs. The teams were the Walungurru (Kintore) Hawks, the Pikilyi Bombers (Yuendumu outstation team), Ikuntji (Haasts Bluff) Swans, the Watiyawanu (Mt. 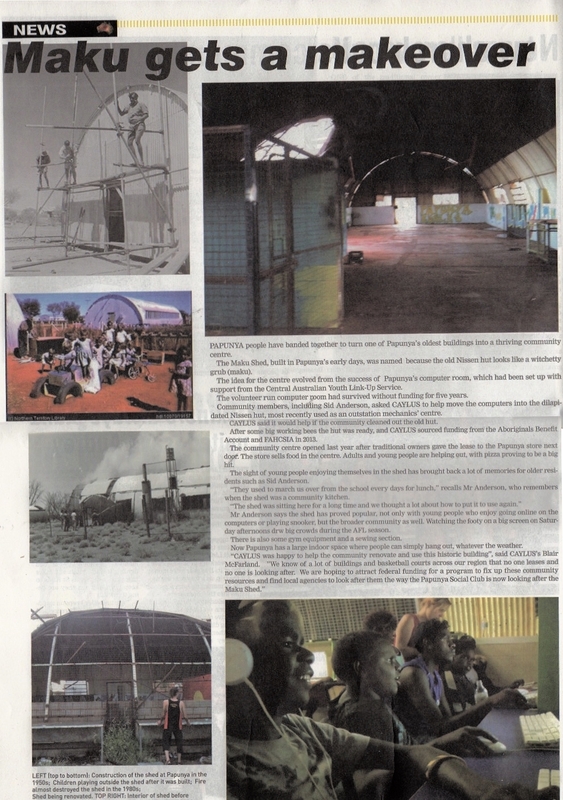 Liebig) Saints, the Papunya Cats, and the Papunya Eagles. The Pikilyi Bombers were the loud and proud winners. It was great to see some of the younger sporting talents getting a run over the weekend, and giving some of those older players a run for their money. It's not just the style of play that is unique in the Western Desert - there is also a unique spectator and team support style, plus of course all the action from the kids and aspiring players on the sidelines. See previous posts on the league for info on how this league is building bush football as a way of keeping young people and their families strong in the Papunya region. Thanks to Pete Gleeson for photos. Wilurrara Tjutaku Football League update. Sid Anderson and Matthew Brown from Papunya went to Melbourne in October to present at the “Well Being, Not Winning” symposium held by the Global Indigeneity and Reconciliation Program of the Global Cities Research Institute at RMIT. Blair McFarland from CAYLUS accompanied Sid and Matthew to Melbourne and was co-presenter at the symposium with Sid. The symposium was developed to generate an open and honest discussion of the role that participation in organised sports plays in the lives of Indigenous communities and in particular in the lives of young Indigenous males. Significantly, the symposium was also developed with a critical approach in mind as participants were asked to consider not only the benefits of sporting participation but also the costs that may be associated with Indigenous participation in non-Indigenous controlled sporting competition.” Quote from Tim Butcher, Senior Lecturer, RMIT, one of the symposium organisers. Sid and Blair’s presentation about the Wilurrara Tjutaku Football League generated a lot of interest from the symposium participants, as the WTFL is a genuine grassroots initiative that addresses many of the issues affecting young men in remote Aboriginal communities. Some of the people Sid and Matthew connected with in Melbourne have offered various forms of support and encouragement for the development of the WTFL, and are eager to stay in touch with what’s happening out bush. For Sid and Matthew, attending the AFL Grand Final at the MCG was a highlight of the trip. The cold wet weather did not dampen their spirits at all, particularly as the team they were barracking for (Sydney Swans) won in the last few minutes of a very close and exciting game. The WTFL will kick off their summer comp in November 2012, with 7 teams playing: Papunya Cats, Papunya Eagles, Walungurru Hawks, Walungurru Blues, Ikuntji Swans, Mt. Liebig Football Club, and the Antjalkatjarra Crows. CAYLUS has supported Sid Anderson and Matthew Brown from Papunya to get to Melbourne this week to attend a forum that is being organised by the Royal Melbourne Institute of Technology (RMIT) Global Cities Research Institute. The forum brings together speakers with firsthand experience of issues associated with men’s health in the context of sport. Through the sharing of experiences, it aims to highlight fresh insights into meaningful ways in which young Aboriginal men can engage in sporting activities whilst fulfilling family and community obligations and retaining a connection to country. 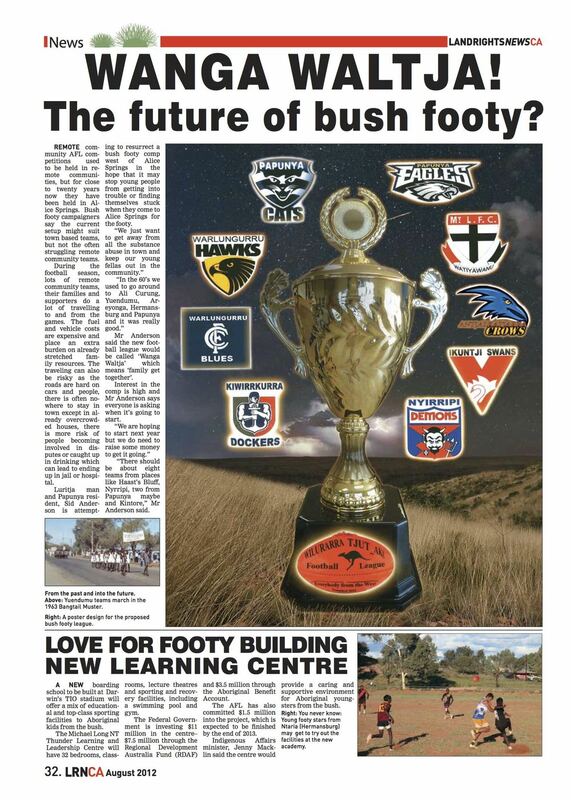 Sid and Mathew will certainly have a lot to contribute at the forum, check out below a recent article from Land Rights News where Sid talks about the need to build bush footy comps in order to invest in things that stay in remote communities and to keep young people from getting into trouble when they go to Alice Springs for footy. The CAYLUS Skateboard program visits the remote Central Australian community of Alpurrurulam (Lake Nash), where a team of skaters and artists ran youth development program based around skateboarding. This project was supported with funding from the Commonwealth Attorney General Department.